Here’s how digital marketers can reach a local audience on a limited budget. If you market your business to a local audience, you probably feel like your work is not as quantifiable as you would like. For example, you may not have a CRM system to track new customers, and your audience may not even visit your website while they are considering your product! You don’t have as many opportunities to capture leads or monitor your buyer’s activities during different stages of their buyer’s journey from awareness to purchase. That makes it tough to tell what is working, and what isn’t. And, when you do take on a digital marketing initiative, you need to make absolutely sure that you only reach an audience that can visit your immediate geographic area. Otherwise, you can spend thousands of dollars on SEO, PR and social media initiatives that will reach the wrong people, wasting thousands of dollars. We asked our community of digital marketers about the tools that make local marketing easy and affordable. Here is what they shared. Citation management tools help small business owners manage their presence across hundreds of listings and review sites. Rather than forcing yourself to focus on just the major ones, like Google My Business, you can update your information for hundreds of sites at once. How It Helps: For small local businesses, 5-star reviews are essential to ranking in local search and providing the social proof needed for your prospects. This tool is one of my favorite because, as a business owner, you can easily import a spreadsheet of your customers into the platform. From there, your customers will be emailed over time with a review request. If the customer provides a 5-star rating, then the customer is directed to leave a review on their social/local profile of choice. This automation has made it a lot easier to get online reviews compared to just asking your customer to leave you a review, which many of them forget about after leaving your storefront or talking with your customer service rep.
An easy-to-start Adwords Express program which does a lot of the heavy lifting for you if you don’t want to hire an agency or learn how to manage Adwords. It’s a HUGE missed opportunity if you are a local business and don’t have a Google My Business setup. 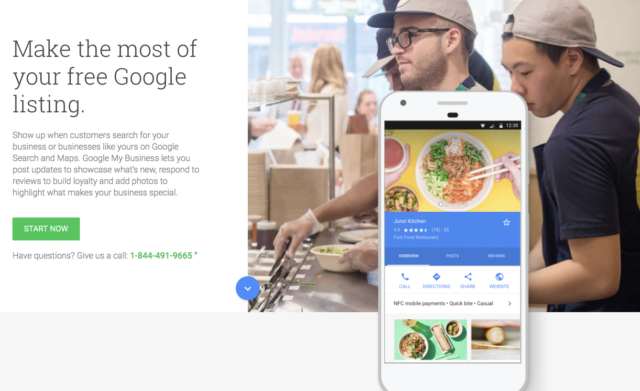 How It Helps: Google My Business gives small business owners the ability to control their most important information in the Google search engine. They can also respond to reviews, post about upcoming events or business highlights and even chat directly with users. Many companies use it on a basic level but every small/medium sized business should be utilizing all the “bells and whistles”! How It Helps: As surprising as it sounds, there are still a lot of businesses that have not used Google My Business. Being listed on Google greatly improves your visibility, as users have a preference to search for businesses on search engines. While social media sites like Facebook and Twitter are also platforms where your audience can see you, it is very valuable that they would be able to see your business on Google and Google Maps. 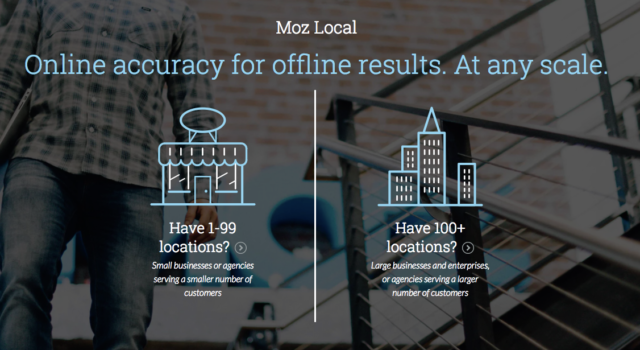 How It Helps: Moz Local is an affordable tool that helps businesses create accurate profiles on many local listing sites. All of these local listings represent the business with identical Name, Addresses, and Phone Numbers. It makes a HUGE difference for local searches, and it makes a business’ existence and location very reliable in Google’s eyes. Not only will a business location be identified without question, but these websites also will create backlinks that can generate traffic and transfer authority, giving a small boost once implemented correctly. How It Helps: We suggest Moz Local to our customers because it is a great way for them to get their local business information to a bunch of different local sites faster than if they were to do it manually. Most small and mid-sized businesses generally don’t have a great local presence, so this tool will help them get seen a little quicker locally. You can also easily manage any changes to your listings straight from the tool instead of going to every single website to change information about your business. How It Helps: Half the battle with local SEO success is making sure that your listings across various online directories are consistent. A tool like Yext can correct for any past, present, or future listings inconsistencies—but you’ll have to keep paying monthly for the tool to retain its benefits. How It Helps: Local citations are easy to do, but most smaller companies don’t use them yet. They ensure you are more visible to clients in the area. With local citations, you will get your citation and trustflow going (ranking factors). 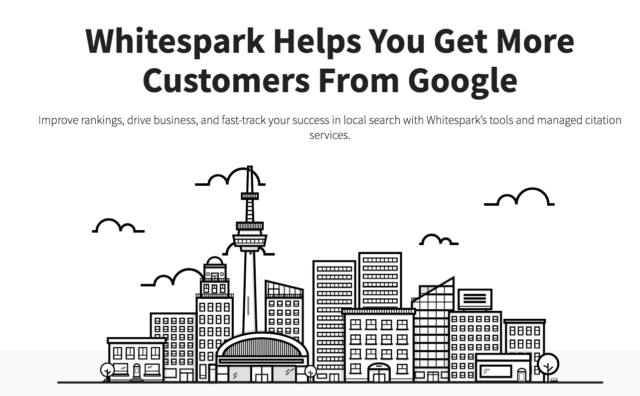 You can either do it by yourself, work with a marketing agency or a third-party tool like Whitespark or Georanker. There is also some traffic to be expected from the mentions. How It Helps: Local marketing is all about being found. For businesses looking to service a local market the most important first step to increasing your presence is having accurate business listings on the most frequented online directories. Many businesses easily maintain profiles on the most popular sites Google My Business, Facebook, Yelp, but building and maintaining optimized profiles on the top 100 local directories can be a chore. In many cases, businesses have incomplete, outdated, or missing profiles. This leads to first impressions that frustrate customers before your business gets a fair chance to let the quality of work speak for itself. This is not good. We typically recommend BrightLocal for our local marketing clients because of the platform’s pricing flexibility and the scale of directories you can build profiles for. BrightLocal offers 1-time, manual submissions for over 1600 directories at a cost of $2-$3. They also provide the option of submitting aggregate submissions for sites like Infogroup, Localeze, Factual, and Acxiom for $55 per year. BrightLocal also gives their customers complete control over their profiles through an easy to manage local directory listing dashboard and regular reporting. Local marketing begins with establishing your business in your local market. Online directory listings are the best way to accomplish that on a large scale. Google and Facebook’s ad products both allow you to limit your ads to a local audience. However, you still need to do multiple rounds of A/B testing before you can find the most cost-effective ad strategy for your business. How It Helps: The amount of targeting options in this tool is incredible. Used correctly, you can really narrow down the audience that sees your ad to the perfect customer. You can even test ads and let Facebook retarget them at audiences similar to ones that engaged! How It Helps: Facebook Ads is amazing at narrowing down your audience. This gives local business the power to reach people that matter most to them in a very cost-effective way. 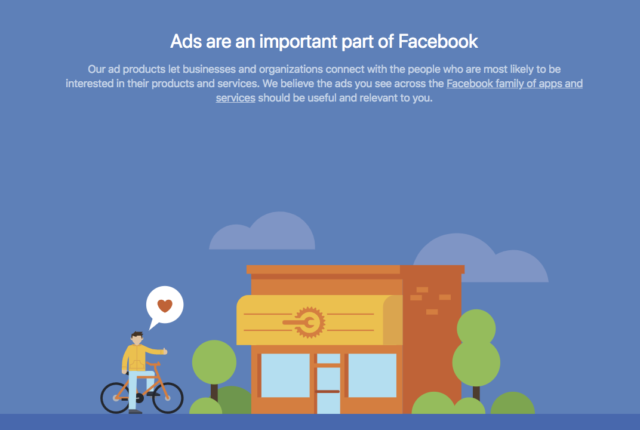 How It Helps: This may be an obvious choice to some, but Facebook advertising is one of the most affordable and effective ways for SMBs to market locally. You can combine targeting specific towns or states and a dozen other data points to reach the right prospects at the right time. Facebook offers one of the lowest CPM and CPC rates around, which makes it invaluable for up-and-coming companies on a tight budget. How It Helps: Local businesses are bound by geography, with means they can only (for the most part) serve people in their immediate vicinity—likely within a few miles of their physical location. With Facebook Ads, you can literally type in your store/office/restaurant/business address, and then add a radius to it in order to serve ads to everyone nearby. This is extremely powerful for reaching your ideal clientele, and you can get targeted traffic oftentimes for pennies on the dollar. Mix in a special offer for local residents, and this becomes infinitely more effective. This strategy can even be taken a step further. For example, if you’re a metal roofing contractor (which is obviously more expensive than a regular roof), you can target only the more affluent neighborhoods in your area—either with addresses and radius combinations or by using city names and zip codes. How It Helps: When advertising on Facebook, you’re lucky if 1 or 2 ads out of 10 are winners. That means you need to test a lot of ads. Well, local businesses normally don’t have extra time for this. 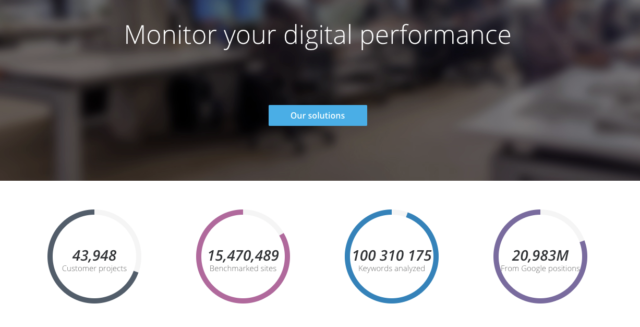 AdEspresso lets you test a ton of ads without much effort. How It Helps: If you are not running any active Google AdWords campaign, you cannot access Google Keyword Planner any longer. A nice freemium alternative is Yooda, at least in the French market. Among other services, it shows you the average number of monthly queries for given words on Google.fr. How It Helps: It allows small and mid-sized local businesses to create cost-effective ads, which they can use for targeted social media campaigns. Live chat tools allow business owners or customer service reps to easily engage with customers. If they are not interested in picking up the phone, live chat is a great option for engaging in real-time. How It Helps: Here’s one thing that is generally the same across any size business: the need for humans to connect at some point to move a purchase forward. For local businesses, this is no especially true. For purchasing agents and consumers, the ability to reach out and speak with someone right now can be a real differentiator; as modern messaging technology has not yet been adopted by small businesses or local contractors. When RFP’s are at stake, being able to connect at a moment’s notice can make all the difference. These platforms allow account executives to have a messaging command center right on their smartphone. Sure, you can manually search for contacts in local markets and reach out to members of the press individually. But, that can quickly become an overwhelming spreadsheet. You can use a PR tool to manage this process. To make getting in touch with the right people easier. While MuckRack can do more than media list planning and maintenance, my team here at Bellhops Moving use it mainly to build lists. We operate in over 20 different cities so this tool really allows us to connect with the right reporters and bloggers remotely from our headquarters in Chattanooga, TN. Local SEO offers an opportunity to increase your ranking on local search terms. This could be in a Featured Snippet, or for a variety of other terms that customers search when they need your solution. How It Helps: SEMrush is a great tool for agency sales teams to reach out to new potential clients. Helping a business understand why their organic search traffic isn’t working and how it can be fixed can be a breath of fresh air. Using the Organic Research tool, it’s quick and easy to uncover any SEO or blog content issues that hinder performance. The insights help the sales rep spark up a meaningful conversation with a new potential client. The sales rep can propose marketing solutions to solve the client’s problems and to accelerate their business goals. SEMrush is also a very powerful tool for the successful implementation of the client’s content marketing and SEO programs. 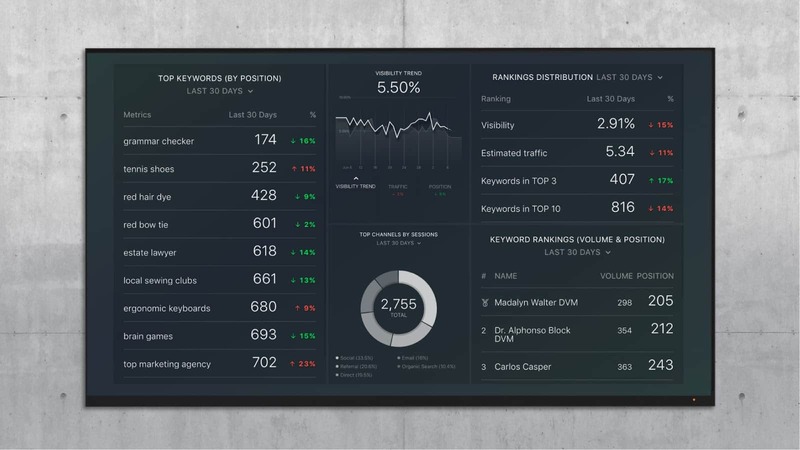 For example, the marketing agency marketing strategist can use the Competitor Intelligence tool to get ideas for gaining more organic traffic and competitor market share. What client would not want to discuss that? Finally, another powerful way to use SEMrush is to improve the client’s Google AdWords, display and remarketing programs. SEMrush enables the agency to analyze and improve the client’s current ad strategy and perform competitor analysis. You may think that it is easy to maintain a presence on a few social media accounts, but if you do not have a dedicated employee for marketing, it can be tough to remember to post multiple times per day. Fortunately, automation tools can help you! How It Helps: We love Content Cal and I always recommend it to my clients. It is a great tool for planning, scheduling and approving content. 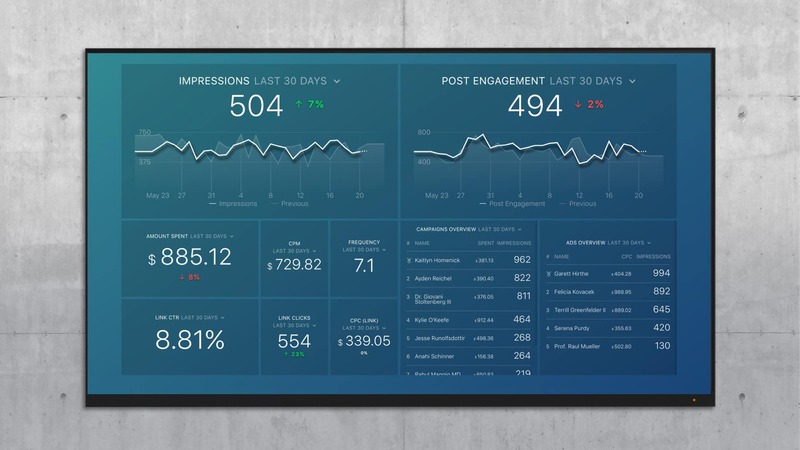 It has recently introduced analytics which helps to give a view on what posts are performing the best. If you are a small business owner who is short on time taking some time to plan the content on this platform can save you time in the long run. If you are a small business owner who outsources to another team member or an agency, the workflow system will allow you to maintain control over what content goes out. How It Helps: It provides a seamless process and is a great time saver in liaising with clients on content approval and publishing directly to networks. How It Helps: The local reach is organic – meaning those in small communities like to support their local businesses. It’s easy to update, and if the client cares to, it’s economical for me to update it for them – often with better results since I’m a marketer and they’re a business owner.It’s inexpensive as an advertising platform with decent ROI. 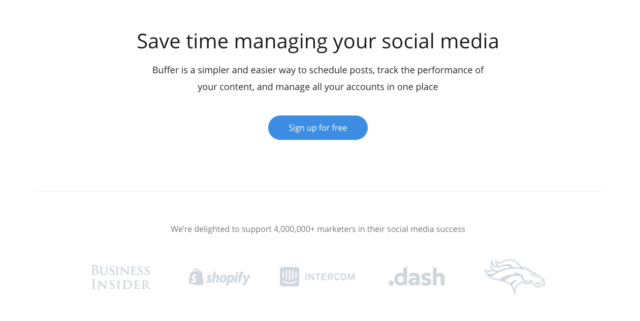 How It Helps: Buffer enables us within a single click to share content and schedule posts via Twitter, Facebook, LinkedIn, Google+ and Pinterest. We use a free image creation tool “Pablo” that comes with Buffer, to create our social media images for Facebook, Twitter, Pinterest, and Google +. All links are automatically shortened with default shortener which simplifies the process of content creation. The Buffer extension for Chrome is an excellent addition as it allows us to share links, pictures, and videos from wherever we are on the web. With the built-in analytics in a clean and simple layout, Buffer helps us find the best types of content and time of posting which is ideal for our customers, but also allows us to re-post content. It is easy to integrate blog feeds to give us sources of content to post to our audience. Buffer is low-cost and is a powerful tool for our company marketing efforts. Post unscripted or unfiltered content as it only lasts 24 hours whereas regular posts are there for life. Reach more people than Snapchat (your entire Instagram following plus viewers from hashtags, geo-tags and your profile). You can post hundreds of stories a day without being perceived as “spammy”. You can drive consistent traffic to your call to action, whether that is a link or post. The addition of story locations and hashtags allow you to reach more people through the story “search” feature. For local businesses I have noticed that the geotag and hashtag feature of stories is crucial for reach! You obviously don’t have enough time to start marketing initiatives across all of the marketing channels listed above, no matter the software tools. If you are searching for a first step, start by surveying your customers on how they heard about your business. For example, if run a plumbing business and the most popular way that your customers find your business is via listing sites like Yelp, that means you should increase your investment in citation management tools, like Yext. If you have not worked on citation management in the past, that probably means that there is more opportunity for your business to grow through the channel. On the other hand, if your customers find you through your website, but you haven’t invested in local SEO, start there. If you instead try to take on all marketing strategies at once, or spend all your time on social media posts, you will soon find that you are wasting your time. Instead, search for an existing channel that is working, and spend more time there. Do you use any other local marketing tools that have made your life easier? Let us know in the comments!